Por que os levantamentos de abelhas falham quando se trata de entender suas comunidades? Neste artigo, apresentamos uma proposta de prioridades de pesquisa para incrementar o conhecimento sobre as comunidades de abelhas baseado em dados coletados em levantamentos de abelhas feitos no Brasil nas últimas quatro décadas. Foram reunidos 86 levantamentos, realizados em diversos biomas, em 130 localidades, 73 dos quais com coletas de dados feitos em períodos de um ano ou mais, e o restante em períodos menores que um ano. Todos os levantamentos utilizaram a metodologia padronizada proposta por Sakagami et al. (1967). Houve uma diferença conspícua em termos de amostragem nas cinco regiões políticas do país: a região Norte não foi amostrada e a região Centro-Oeste apresentou poucos levantamentos, embora, juntas perfaçam mais da metade da área do país. In this work we present a proposal of research priorities for enhancement of bee communities knowledge, based on a huge data collection of bee surveys made in Brazil in the last four decades. We collate information about 86 surveys done in several biomes in 130 localities throughout the country, 73 of them lasting a year or more and the remaining with less than a year of data collection. All surveys used the standardized methodology proposed by Sakagami et al. (1967). The five political regions of the country were differently sampled: while the North region did not present any bee survey, the Central-West region presented only few, although they both comprise more than half of the total country area. ALVES-DOS-SANTOS, I.; KLEINERT, A. M. P. Quando um visitante floral é um polinizador? In: VIII Congresso de Ecologia do Brasil. Anais. 2007. p. CD-ROM. ASHMAN, T. et al. Pollen limitation of plant reproduction: ecological and evolutionary causes and consequences. Ecology, v. 85, n. 9, p. 2408-2421, 2004. BIESMEIJER, J. C.; SLAA, E. J. Information flow and organization of stingless bee foraging. Apidologie, v. 35, n. 2, p. 143-157, 2004. ______. The structure of eusocial bee assemblages in Brazil. Apidologie, v. 37, n. 2, p. 240-258, 2006. 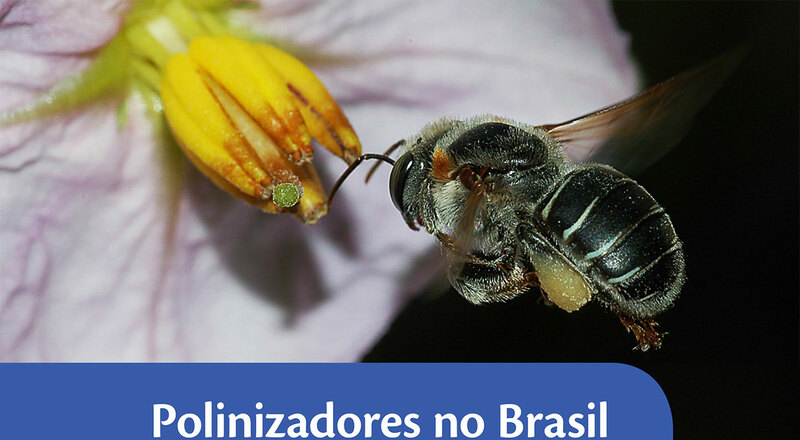 BIESMEIJER, J. C.; SLAA, E. J.; CASTRO, M. S. D.; VIANA, B. F.; KLEINERT, A. D. M. P.; IMPERATRIZ-FONSECA, V. L. Connectance of Brazilian social bee: food plant networks is influenced by habitat, but not by latitude, altitude or network size. Biota Neotropica, v. 5, n. 1, p. 85-93, 2005. COCKERELL, T. D. A. Descriptions of new bees collected by H.H.Smith in Brazil. Proceedings of the Academy of Natural Sciences of Philadelphia, p. 336-337, 1900. DUCKE, A. Neue Beobachtungen über die Bienen der Amasonslander. Allgemeine Zeitschrift für Entomologie, v. 2, p. 51-60, 1906. DYER, F. C. The biology of dance language. Annual Review of Entomology, v. 47, p. 917-949, 2002. FRIESE, H. Neue Bienenarten aus Süd-Amerika. Deutsche Entomologische Zeitschrift, v. 56, p. 693-711, 1910. HUSBAND, B.; SCHEMSKE, D. Evolution of the magnitude and timing of inbreeding depression in plants. Evolution, v. 50, n. 1, p. 54-70, 1996. JAMHOUR, J.; LAROCA, S. Uma comunidade de abelhas silvestres (Hym., Apoidea) de Pato Branco (PR-Brasil): diversidade, fenologia, recursos florais e aspectos biogeográficos. Acta Biologica Paranaense, v. 33, p. 97-119, 2004. 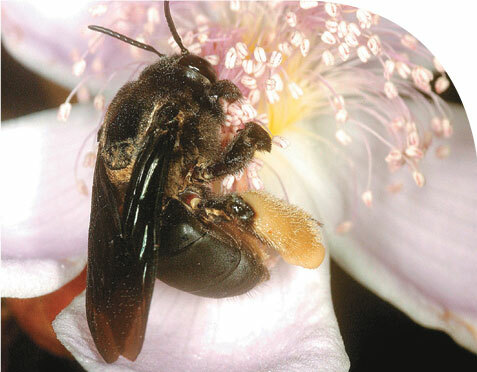 NIEH, J. C. Recruitment communication in stingless bees (Hymenoptera, Apidae, Meliponini). Apidologie, v. 35, p. 159-182, 2004. PINHEIRO-MACHADO, C.; ALVES-DOS-SANTOS, I.; IMPERATRIZ-FONSECA, V. L.; KLEINERT, A. M. P.; SILVEIRA, F. A. Brazilian bee surveys: state of knowledge, conservation and sustainable use. In: KEVAN, P.; IMPERATRIZ-FONSECA, V. L. (Ed.). Pollinating bees - The conservation link between agriculture and nature. Brasília: Ministry of Environment, 2002. p. 115-129. SILVEIRA, F.; CAMPOS, M. A melissofauna de Corumbataí (SP) e Paraopeba (MG) e uma análise da biogeografia das abelhas do cerrado brasileiro (Hymenoptera, Apoidea). Revista Brasileira de Entomologia, v. 39, n. 2, p. 371-401, 1995. SILVEIRA, F. A.; PINHEIRO-MACHADO, C.; ALVES DOS SANTOS, I.; KLEINERT, A. M. P.; IMPERATRIZ-FONSECA, V. L. Taxonomic constraints for the conservation and sustainable use of wild pollinators - the Brazilian wild bees. In: KEVAN, P. G.; IMPERATRIZ-FONSECA, V. L. (Ed.). Pollinating bees - The conservation link between agriculture and nature. Brasília: Ministry of Environment, 2002. p. 41-50.